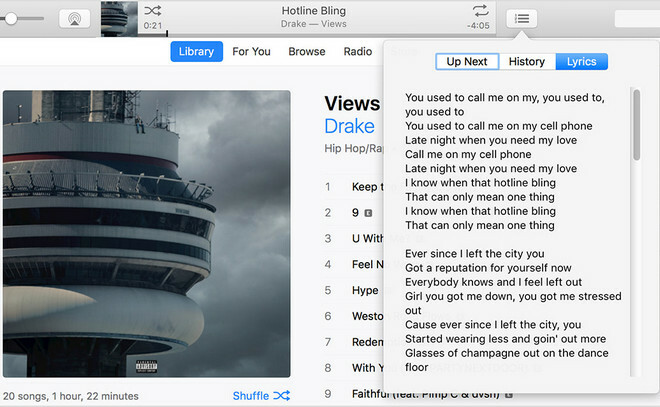 How to View Lyrics in Apple Music? Want to learn a song for singing along, or want to check back to see what the lyric is when missing it, don’t worry; now Lyrics in Apple Music are available. Before iOS 10, the only way to view lyrics from Music app on iPhone or iPad for users was to manually add the lyrics with iTunes. 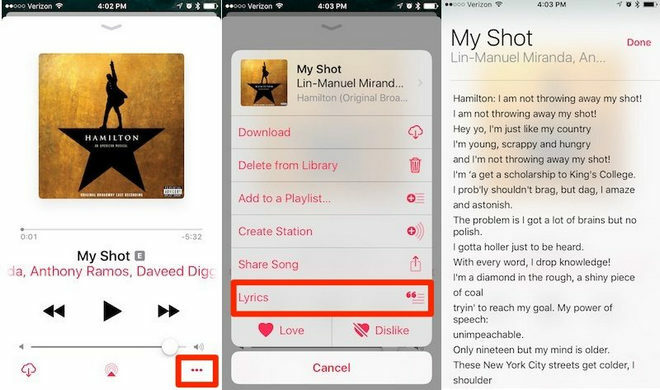 But recently Apple Music has been redesigned, one of the newest features in iOS 10's redesigned Apple Music app is enable users to view lyrics for some popular songs, which is a quite kindly feature that help people a lot. 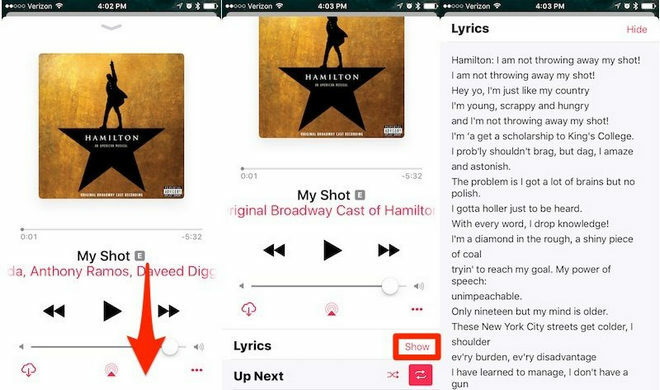 Here is a guide to show you how to view lyrics in your Apple Music. Please tap the three dotted menu button to bring up the options screen. From here you can tap on “Lyrics“. This will open the lyrics in a whole new page. Note: Before you can view lyrics, you need to update your iOS software, get the latest version of iTunes, and update the software on your Apple TV. And currently, lyrics are not available on all songs and albums, so if lyrics aren't available for a specific song you like, you can add lyrics to songs in iTunes on a Mac or PC. 3. Extra Tips: How to Convert Apple Music to MP3? Apple inserts DRM protection into each of Apple Music songs to prevent people from playing them on non-apple devices, which bring users with much inconvenience. Fortunately, there's a program can solve the problem. 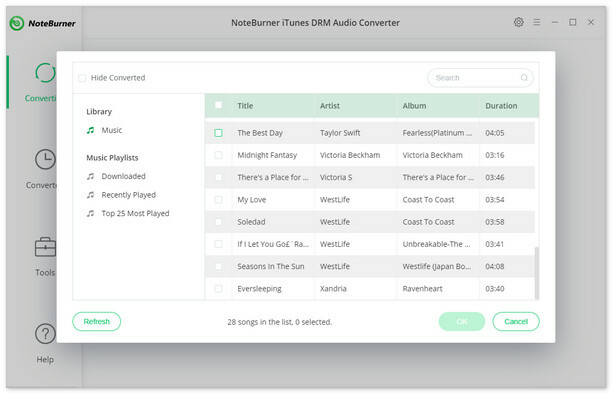 NoteBurner Apple Music Converter is a quite professional DRM audio converter, which can convert Apple Music files and M4P music to MP3, WAV, and M4A format at 10X faster speed with lossless quality. 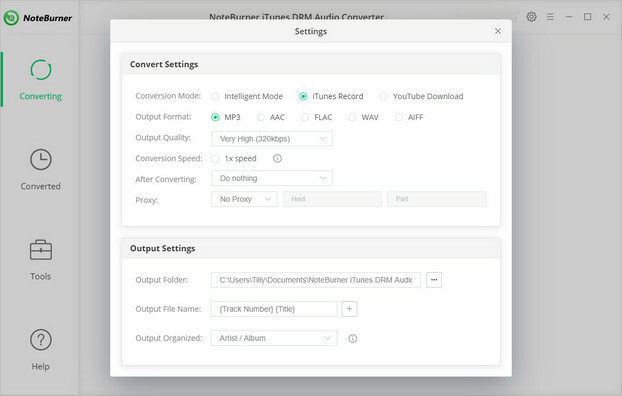 With this excellent DRM Audio Converter, you can easily convert Apple Music files to MP3 format, and transfer the converted file to any other devices for enjoying. Please follow these steps to convert Apple Music songs to MP3.